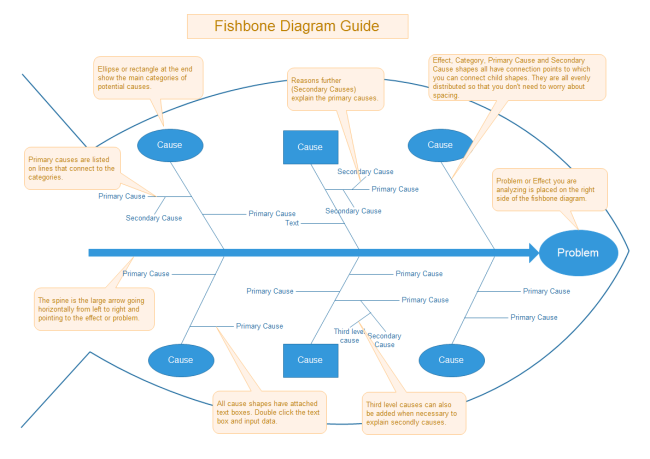 An easy ishikawa diagram maker that helps make ishikawa diagrams with free templates. 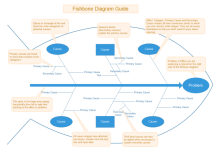 Quickly and easily create ishikawa diagrams in minutes. Discover why Edraw is the simplest and easiest, yet most powerful ishikawa diagram maker: Download it Now. 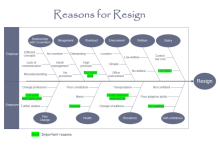 Edraw ishikawa diagram maker is professionally designed to show causes of a certain event through visual diagrams. 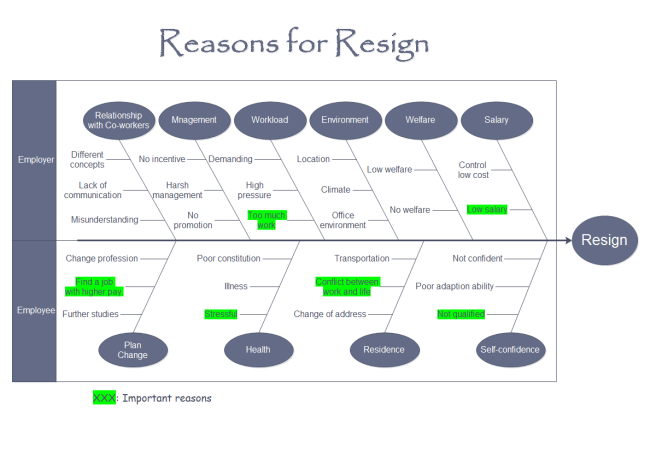 This task has been made quite easy because of the smart symbols and diversified examples. 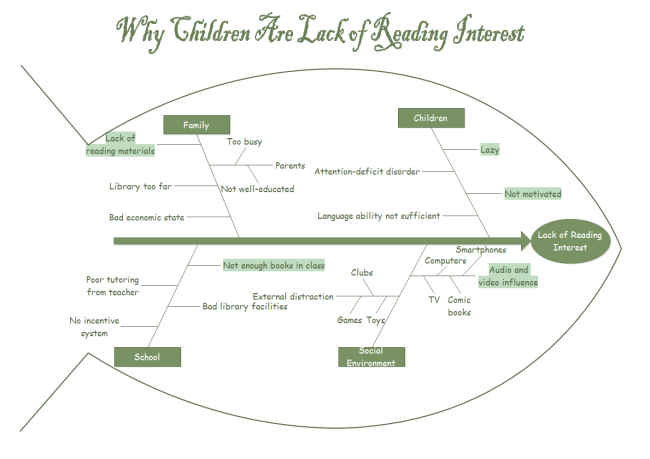 Even beginners can create presentation quality diagrams without difficulty. It is really a snap for people already accustomed with other Microsoft apps, such as Word or Excel, since the interface is quite familiar. 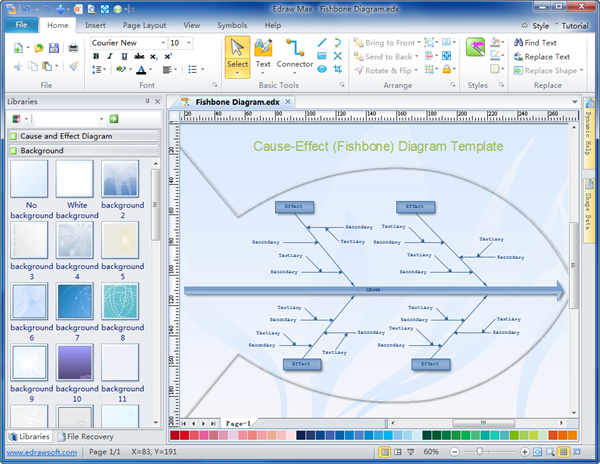 Users just need to simply drag and drop shapes, select built-in designed themes, and automatically share their finished ishikawa diagram into a presentation or PDF by only one click. Edraw offers a set of smart shapes for drawing ishkawa diagrams instantly. They are attached with connection points so that you can connect and lay out shapes very quickly. After the diagram is finished, you can move it as a whole in 1 action. 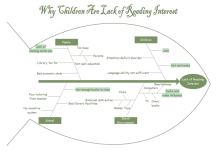 Many amazing Ishkawa diagram templates and examples are included in the program or posted online. Beginning from templates and examples is really fairly simple. 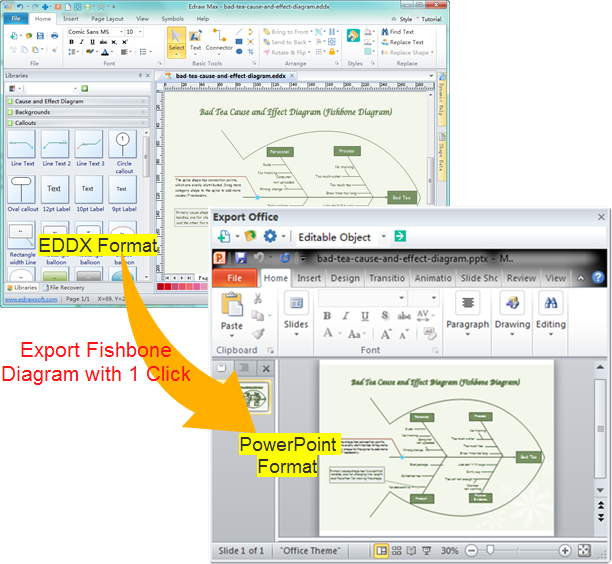 In Edraw, the Ishkawa diagram can be exported into PowerPoint with 1 click. Users can also output the file into many other formats, including doc, pdf, jpg and so on.